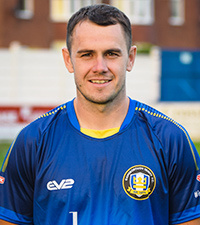 Gainsborough Trinity captain Liam King has had his contract cancelled by mutual consent, following injury problems. King, 31, has been out of action with a serious back injury picked up in October but recently made a cameo substitute appearance against Workington. But he has since suffered a further set back in his quest for full fitness and approached chairman Richard Kane to relinquish his wage and concentrate on his long-term health and well-being. He said: “I’ve done everything within my ability to get myself fit again, but I just need time to get my head straight, as well as my body. “I play football for enjoyment and I am gutted that I am having to make this decision. “I really believe that if I was fit, I could have had an even bigger impact on the squad leading by example. Gainsborough will retain King’s registration.  Kendal issue statement after fans meeting cancelled Kendal Town chairman George Gudgeon has released a lengthy statement after the club cancelled a planned fans' meeting earlier this week. GreenFields Launch 2019 EVO-STIK NPL Pitch of the Year Awards  Official EVO-STIK Northern Premier League Pitch Partner, GreenFields have launched their second annual Pitch of the Year Awards.